You are here: Home / / Refurbished Apple MacBook Pro: Don’t Buy Just Because It’s An Apple Product, Do This Instead. Refurbished Apple MacBook Pro: Don’t Buy Just Because It’s An Apple Product, Do This Instead. 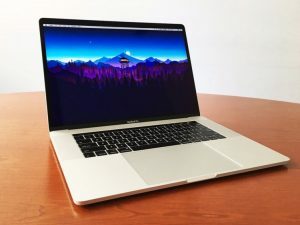 (ThyBlackMan.com) If you’re in the market for a refurbished MacBook Pro, there are certain things you should know before you pay for the laptop. Consumers who are on a tight budget often look for used and refurbished Apple products. Buying a used computer from an unknown seller can be risky, so if you’re thinking of buying an old MacBook Pro, here’s what you should do. Instead of relying on the words of a random seller on eBay or Amazon, buy a refurbished MacBook Pro directly from its original seller, the Apple. The company runs an online store for its refurbished products and the quality you will get is incredibly amazing. Don’t rely too much on what the internet tells you because electronic devices and their behavior can be unpredictable. From Apple’s refurbished store, you get products that have been thoroughly checked. Apple also replaces faulty components with the company’s genuine hardware parts. In open marketplaces, you can’t be sure whether a machine was a genuine purchase or it was stolen. That said, you can’t be sure about the parts the machine is running on if you buy a refurbished MacBook Pro from a seller other than Apple. Buying directly from Apple has its advantages. You get a 1-year limited warranty which can be extended through the Apple Care program. Most importantly, you get a clear idea of what you’re getting because Apple sells its refurbished MacBook Pro with complete documentation, original and non-faulty parts, new cables, and packaging. For most of the products purchased from Apple’s refurbished store, you won’t be able to spot any difference between an old and a new computer. Apple sells refurbished products for a lower price. This can go up to 20 percent in some cases, so you can easily calculate how much money you save on a refurbished product deal. On high-end products, you can expect to save hundreds of dollars if you don’t really care too much about the manufacturing date. Apple’s support system helps you get on-time support in the company’s online and offline channels. It means, if your device runs into a problem, you can visit any of the company’s stores and get it fixed. The documentation here is more important because you get complete ownership of the machine when you buy it. This ownership not only remains in the hardware space, but you also get it on papers. This is one of the biggest advantages of buying a refurbished MacBook Pro directly from Apple. You can sometimes get a very good deal, so even those on a tight budget should also check the official refurbished product store. For example, you can buy a refurbished 2017 made MacBook Pro 13-inch with Retina Display for as low as $1099. This is really a huge saving because if you check the new models or the same configuration on a brand new product from the same year, a refurbished deal is easily saving hundreds of dollars for you. Buying a refurbished MacBook Air is good, but at the same time, you can’t expect Apple to bring many old devices. The store usually offers only one to two-year-old products. For example, if you want a MacBook Pro from 2015 or 2016, chances are you may not be able to find those devices on Apple’s refurbished products store. The only option in such situations is choosing a third-party vendor, which is not always a good idea. If you are looking for a refurbished MacBook Pro, check out what Apple is offering because Apple’s Q&A and certification process are a lot reliable than the certified refurbished products available on third-party platforms where almost anyone can sell products. Chances are you may not get the model you want, but it is very important to check what you are paying for.